It was “assessed” by the IRS more than 3 years ago and no lien has been filed. 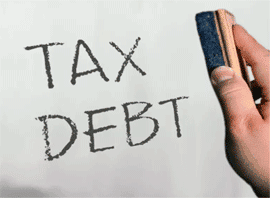 If the tax debt was “assessed” less than 3 years ago, it must be paid in full in Chapter 13. This category is call “priority”. Both the IRS and the SC Department of Revenue can garnish wages and seize tax refunds. Tax liens can be valued in Chapter 13. Paying a valued tax lien can stop future wage garnishment from a tax lien and prevent the lien from attaching to future acquired property. The value of the lien that must be paid in Chapter 13 is all of your equity in property at the time your case is filed and the lien on the property that you own before your bankruptcy survives the bankruptcy.